In 1990-91 the facility was renovated, making it a showcase facility with state of the art raceways and canopies, a visitor center, and a self-guided tour path. 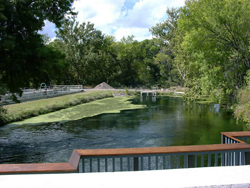 The Audubon Society identified habitat at the hatcheries and riparian area along lower Oak Creek as an Important Bird Area (IBA), and it draws thousands of wildlife watching enthusiasts. The property has 4 employee residences, a studio bunkhouse, a large enclosed garage/shop, a large carport, numerous storage sheds and detached garages, a main office, a visitor center with restrooms, and separate areas of canopy-covered rearing units. The hatchery is staffed by nine full-time employees, all of whom are responsible for day-to-day operation and maintenance of the sites. 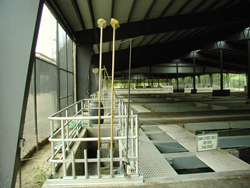 Page Springs Hatchery is the largest state run hatchery. It produces on average 216,000 lbs. of trout which equals approximately 57% of the stock trout in Arizona, and makes a $185.3 million positive impact to the overall state economy. Page Springs is located on beautiful Oak Creek approximately 10 miles south of Sedona and 10 miles north of Cottonwood off Highway 89A on the Page Springs Road. The best access is from Interstate 17. Take the McGuireville exit (exit 293), turn west for approximately 10 miles to Cornville; turn north on Page Springs Road for five miles to hatchery entrance. Open from 7 a.m. to 3:30 p.m. 7 days a week except for Thanksgiving and Christmas. 928 634-4805.